Top Palestinian Authority official Saeb Erekat has described his combative last meeting with US President Donald Trump’s son-in-law and adviser Jared Kushner, before Washington announced it was recognizing Jerusalem as Israel’s capital in December of last year. On November 30, 2017, less than a week before Trump announced he was recognizing Jerusalem and relocating the US embassy there — a move that led the PA to sever its ties with the administration — Kushner met with Erekat at the White House, Erekat told the Doha Forum on international policy in Qatar on Sunday, in comments provided by Buzzfeed. Erekat said that during the meeting he reminded Kushner that Trump was due to sign a presidential waiver delaying the move of the embassy from Tel Aviv to Jerusalem, which had been decided on by the US Congress in 1995. “I said, ‘what do you mean we’re not going to sign? 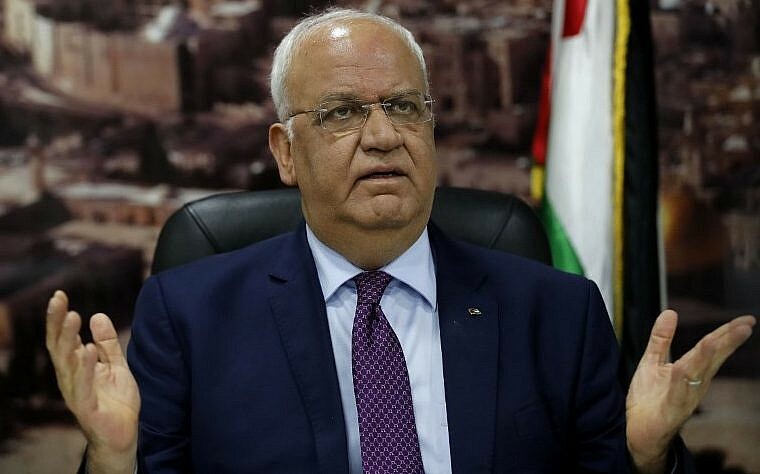 The president promised us in the White House that he would not take any step that may preempt or pre-judge Jerusalem, not before negotiations,'” Erekat recalled. 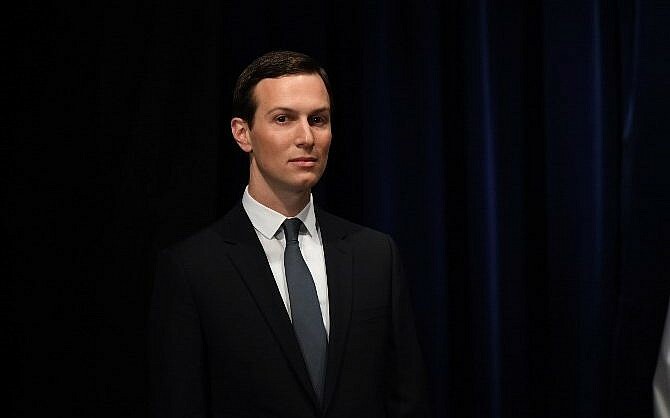 Kushner, who is married to Trump’s daughter Ivanka, responded, “It’s our business and we will conduct our policies according to our interests,” Erekat said. Erekat then declared that if the embassy move went ahead, the US would have “disqualified” itself from any role in the peace process. “You don’t know the changes that are happening around you in the Arab world,” Kushner reportedly said. Erekat told the forum he then tried to explain his point of view and warn of the potential dire consequences to moving the embassy. Kushner wouldn’t explain. “This is our business, our policies,” he reportedly said. “If you do this, you will bring Israelis and Palestinians to brink of disaster,” Erekat said he warned Kushner. 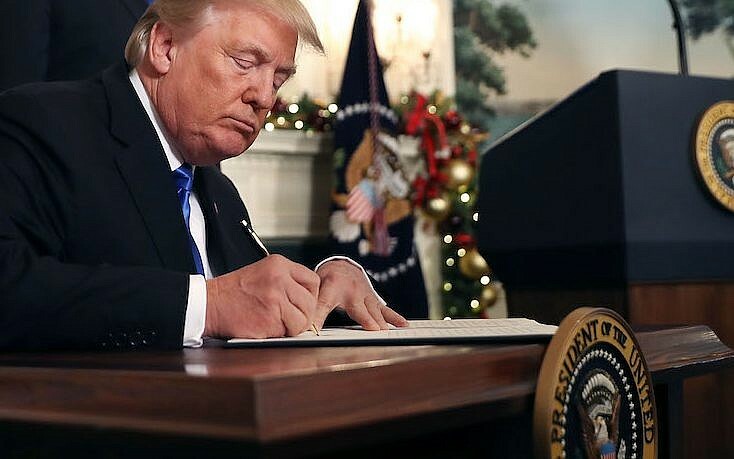 On December 7, 2017, Trump announced that he was recognizing Jerusalem as Israel’s capital and that he had instructed the State Department to begin preparation to relocate the US embassy there. The Palestinian Authority has boycotted Washington ever since and on May 14 the new embassy opened in the Arnona neighborhood of Jerusalem. In a twist of bureaucratic red tape, hours after his December declaration, Trump did in fact sign the waiver and then signed it again in June 2018. Trump’s move was necessitated by the fact that the ambassador’s official residence has not yet been relocated to the capital. The US decision led relations with the PA to spiral downwards. In light of Ramallah’s severing of ties, Washington has cut all aid to the Palestinians this year with the exception of some $42 million it gives them for ongoing security cooperation efforts. It also closed the Palestine Liberation Organization’s mission in Washington DC. The Trump administration’s plan for Israeli-Palestinian peace is expected to be rolled out in the coming months. Although the Trump administration has been long touting its peace plan, details of it have been scant, and the Palestinians have vowed not to cooperate with US efforts.